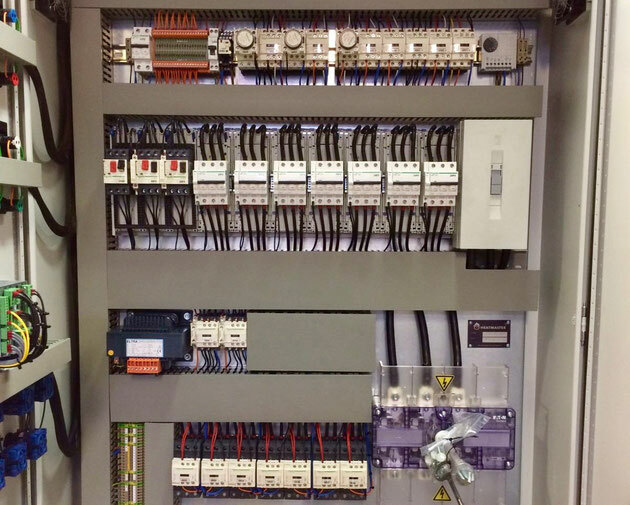 This switch box for a 300 Kw electric heater that worked with eight control steps was build and tested in our workshop. The front panel of the switch box contains various hour counters and LED indicators, for example to indicate the status of the electric heater of each step, and various switches to regulate the working of the heater. 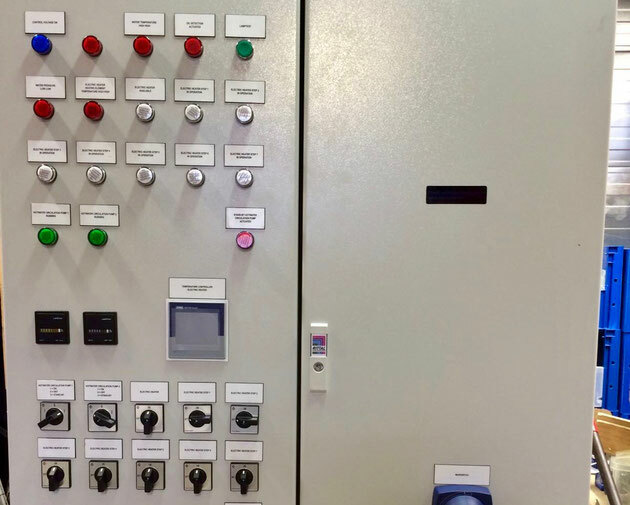 The front panel also contained a JUMO electric temperature controller to control the temperature of the electric heater. Front panel of the switch box, showing the LED indicators, hour counters, control switches and the JUMO electric temperature controller.